Muslim terrorists engaged in jihad, while Western Islamists proclaim that theirs is a religion of peace. What do we know about them? About their book, the Qur'an? When did the Muslim religion begin? Who was involved? Do their claims of truth hold up under scrutiny? James White has written an excellent resource exploring and explaining these issues. What Every Christian Needs to Know About the Qur'an , is the book for every Christian who does indeed need to know about the Qur'an! Islam is one of the biggest challenges we face today in evangelism, culture, and politics. If we are to reach them for Christ we need to know them. First of all, I am so glad to see a resource such as this written by James White. I have followed his ministry for years and have always been impressed with his relentless pursuit of truth, all while possessing a heart filled with love, overflowing in evangelism. He continually puts himself out there, whether it is in debates or ministry broadcasts, seeking to engage, challenge, and persuade others to the truth of Christ. Having read and studied much on the Bible and how it came to be in its present form, I was eager to learn of the Qur'an and its history. But this curiosity presents itself as problem right off the bat. Muslims believe that that the Qur'an is the eternal word of Allah, perfectly transmitted to the prophet Muhammad without error or need of question. Just our asking and seeking is seen as an insult, yet they are not hindered in the slightest when it comes to discussing the history and transmission of our Bible. Unfortunately, both sides most likely suffer from having a majority who have very little knowledge or understanding in how their sacred texts came to be. 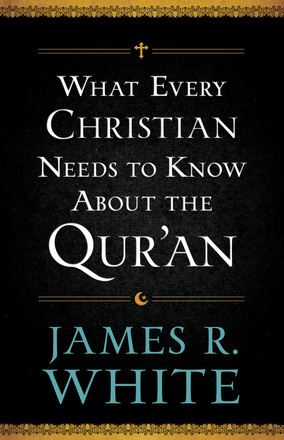 James White sheds light on this essential topic, exposing the truth behind its creation. He looks at when it was initially written down. Under what conditions was the task completed. Who was in control of process and what motives may there have been in reaching its current form. All of which can be examined historically. What I found interesting was the differences between texts such as the New testament and the Qur'an and their development. The New Testament was a very open model with no central control. Gospels and epistles were written, delivered, and copied continuously. We have fragments from all over the place at all times. Because of these many and varied sources, we can study them and discover by comparing them what the original text was. The Qur'an on the other hand, is much different. Tradition claims the Muhammad received its message little by little over many years. The message itself was transmitted orally. This was how things remained till after the death of Muhammad. Interestingly enough the decision to begin writing the text down came after a battle in which many of the best reciters of the Qur'an were killed. After this a few began to write and distribute their versions. Later all the texts were ordered to be collected and an "official" version was to be written. 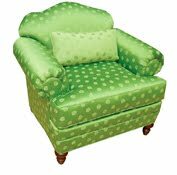 Once this was completed all competing copies were to be destroyed. This presents a challenge to those wanting to determine the original text. With so little evidence to work with, what can be discovered? While this closed system has produced the appearance of textual accuracy without variation, it does raise the question of the ability of the text to be manipulated. The Islamic claim has always been that the books of the Christians and Jews have been corrupted, but as we can see it would be much easier to corrupt the confined and controlled source of the Qur'an. This is just one area the book covers. I could go on and on retelling it, but you would benefit much more by simply reading it for yourself. The biggest point I took away, was that if the Qur'an is in fact the eternal word of Allah, then every claim or statement contained there within should be true. Makes sense doesn't it. White argues this and then points out time and again where the "writer" of the Qur'an was wrong. This is especially apparent when it comes to the subject of Christian beliefs, most notably in regards to the trinity. So often it is evident that the writer had no idea or was greatly confused on these matters. Not something you would expect to find in a text sent directly from Allah. I can't recommend this book enough. As Christians desiring to present the Gospel to everyone, we must take the time to understand others and their beliefs. One important note. 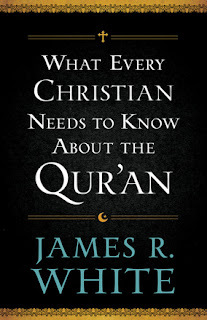 White not only wrote with Christians in mind, he also addresses the Muslim reader who may be seeking to know more of us. He reaches out to them to consider the material presented and examine their truthfulness for themselves. So if you are currently witnessing to Muslims this may be a work to share with them. I'd like to thank Bethany House Publishers for sending me this free copy for review.